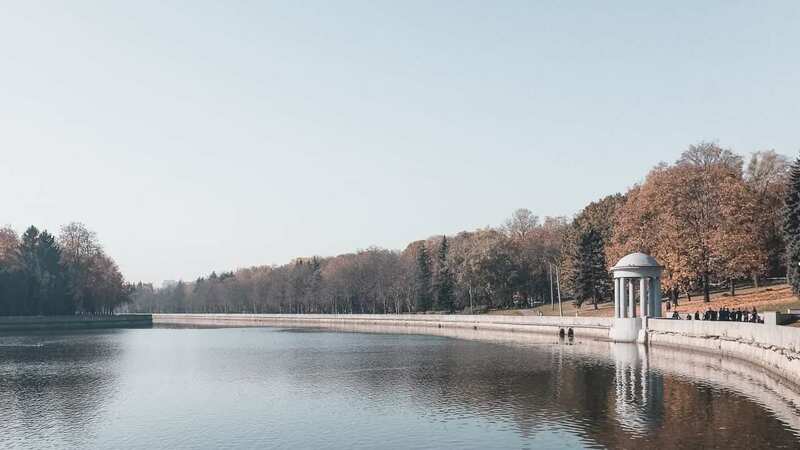 Back in October 2018, I had the opportunity to visit Belarus, the so-called “Europe’s last dictatorship.” I have read many interesting facts about Belarus and planning a journey was an obvious decision. Soon, I decided to book a plane ticket and explore the country. I wanted to have the first-hand experience: to me, Belarus seemed dark and odd at the same time. This was not the case at all though. After spending a full week there, I’ve changed my mind completely. To be honest, this is one of the most exciting and diverse countries in Europe. 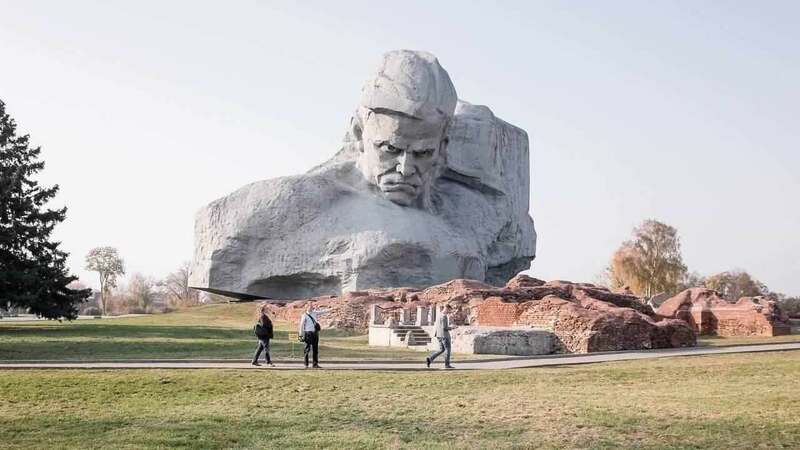 In this article, I compiled a list of 10 interesting facts about Belarus that will come in handy for every traveler willing to visit one of the lesser known countries in Europe. After the collapse of the Soviet Union, all the former USSR countries except Belarus have changed the name of their central security agencies. 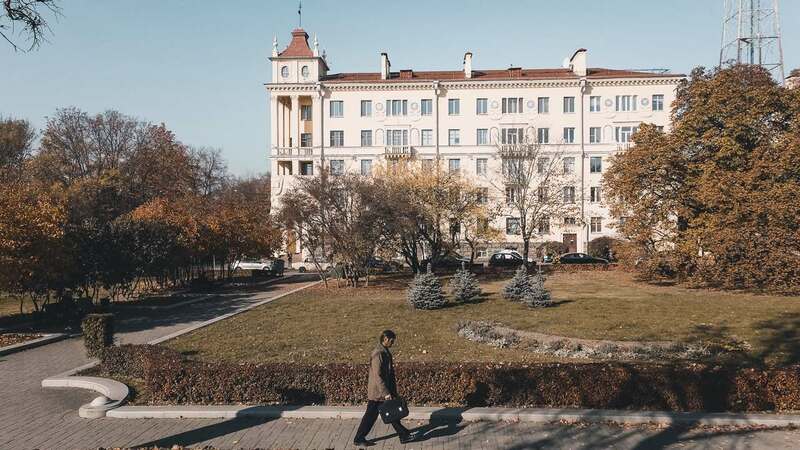 The KGB is still active in Belarus, and it is located in a beautiful building at Nyezalyezhnastsi Avenue. There is a lot of paranoia about the Belarussian KGB in the internet forums, and the truth is that it initially affected me, too. There are even stories about getting interrogated in the basements of the building if you shoot a photo of the exterior. I sincerely doubt that there is any validity on these stories, mainly because the secret services have more important things to do instead of interrogating every single guy holding a camera and taking photos of walls. On the other hand, you might experience some minor troubles if you photograph the building, but this is not because of the KGB. 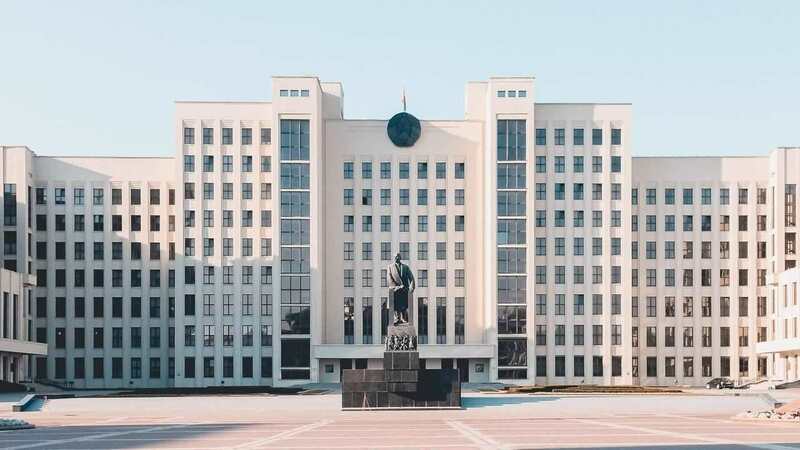 It’s because photography of public buildings is forbidden in Belarus (please check How to photograph in Belarus below). That said, I shot a couple of photos of the building, and nothing happened to me. Of course, I didn’t stay there for an hour, I didn’t have a large camera with me, and I tried not to attract any attention. This is actually one of the very interesting facts about Belarus and probably not a very known one. You see, back then Belarus was part of the Soviet Union, and when Lee Harvey Oswald arrived there in the ’60s, there was not that much to do. Lee Harvey Oswald is probably the most famous assassin of the 20th century: he is the man that killed John Fitzgerald Kennedy in 1963. From what we know today, Oswald was supposedly a Marxist, and that’s how he probably decided to search for his socialist utopia. There are several stories about his time in Minsk, but the truth is that he didn’t have the time of his life there. Although he got married in Minsk, he soon realized that it was not his kind of place. A few months after leaving Belarus behind, Lee Harvey Oswald killed JFK. In Minsk, you can visit the apartment that he used to live (it’s at Communist Street No. 4), and there are some organized tours, too. This is an iconic piece of architecture all around Eastern Europe, and the locals are proud of it. To reach the National Library, you will have to take the metro, which is also an experience. From downtown Minsk, you should calculate 6-7 stops by subway. 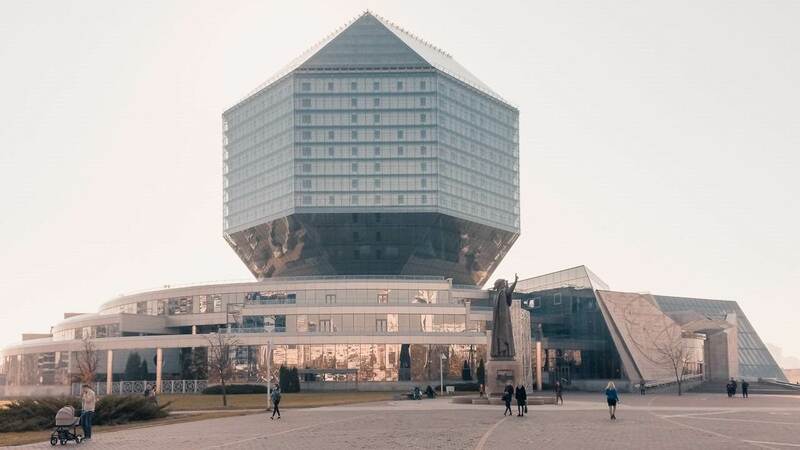 The National Library has the shape of a diamond, and it’s 75 meters high. To get a better impression of the building, it can host two thousand readers in its twenty-three floors. It is so big that it hosts the third largest collection of Russian books in the world. As for its shape, well, this is a rhombicuboctahedron. In Geometry, this stands for an Archimedean solid with eight triangular and eighteen square faces. If that’s not so easy to remember though, you can always call it a diamond, exactly like the locals do. It might come as a surprise, but there is indeed a Cat Museum in Minsk. Eva is a Belarussian woman who (apparently!) loves cats and has created a unique space in downtown Minsk to host them. The oldest one is ten years old; the youngest one was born two months before my visit. There are a couple of rooms in this slightly odd museum, where cats run up and down continuously. 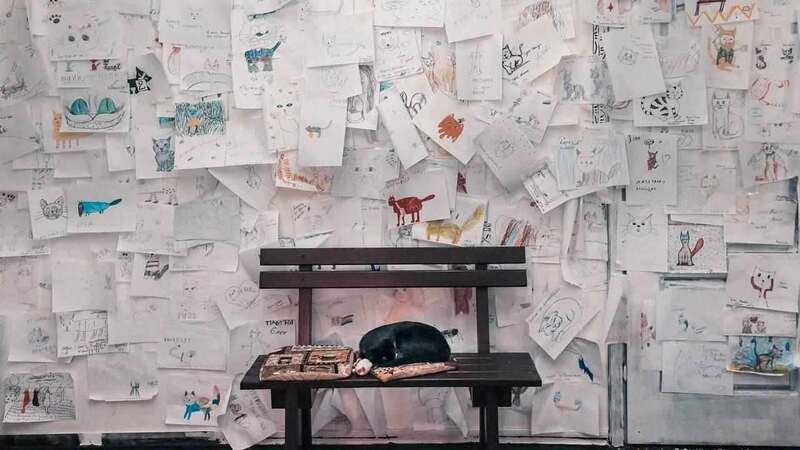 There are drawings of cats on the walls, and the people visiting the Cat Museum can, of course, play with them. Plus, there is an extra room that you can enjoy a free cup of coffee or tea. I can never have enough of oddities I guess, and when I found out that there was a Confiscated Art Museum in Brest, well, I knew that I had to visit it. But what is this exactly? The concept of the museum took shape in the ’90s, due to the political situation in Russia. Back then, art seemed almost like a prime field for smugglers. Long story short, the smugglers of the ’90s tried to “export” art from Russia to Poland, without following any legal procedures. The authorities were busy, and they arrested every day several people and confiscated artifacts. The problem was that most of them were of unknown origin. This created a dilemma: what could they do with the confiscated objects? Well, they either had to destroy them or find a solution -and indeed, they found one. They decided to create this museum and present them to the public. Nowadays the collection includes more than 350 objects, from religious icons to sculptures, and from paintings to Chinese vases. 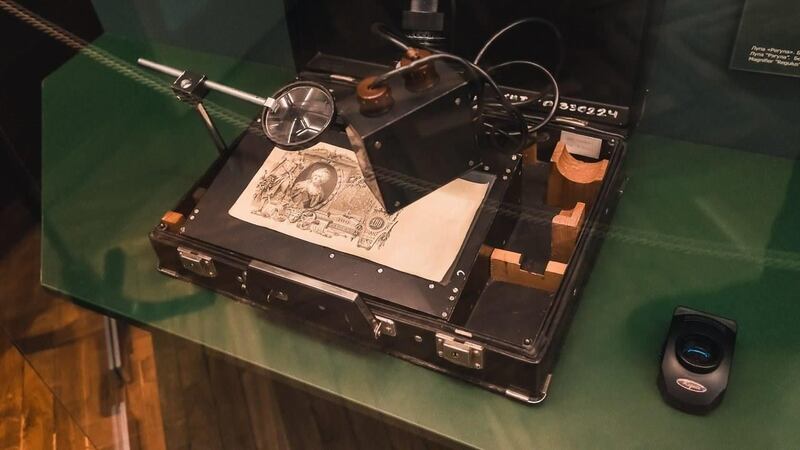 If you’d like to shoot photos in the museum, you should mention it while buying your ticket; there is a minor surcharge for that (less than one euro). Things get a bit complicated when you want to take photos in Belarus. This is actually one of the most interesting facts about Belarus, and you should keep it in mind when you visit the country. There are specific regulations to cope with when it comes to photography. As a rule of thumb, you should avoid taking pictures of the public buildings. How can you recognize them? Well, every building that has a Belarussian flag on top is a public building; therefore you have to avoid shooting a photo. Keep also in mind that it’s not allowed to take photos in the metro, even though there is no visible flag in the stations. How strict are these regulations though? Well, during my stay in Belarus I didn’t face any problem. As I mentioned above, the truth lies somewhere in the middle. You should be very careful if you would like to take a photo of a public building: you should be fast and not spend so much time. There are armed guards around those buildings, and they might approach you and ask you to delete the photos. I don’t think that something more than that can happen, but it’s better not to risk it. I didn’t have any problems, but this doesn’t mean that you can’t run into trouble. Be cautious and use common sense. If there has to be only one takeaway from the 10 interesting facts about Belarus, then it should be this one. The most astonishing monument is of course “Courage.” This is a thirty meters high memorial made of stone. It depicts the head of a Soviet soldier next to a hammer and sickle flag. You can see it almost from half a kilometer away. Some people find it ugly, while others love it. No matter what, this monolithic stone statue delivers a compelling image that will accompany you for a long time. Straight after landing in Belarus, you will have to buy medical insurance. Your home country’s health insurance won’t probably be valid in Belarus; therefore you will have to buy one. It will cover any unforeseen medical expenses, so if something goes wrong during your journey, you won’t have to worry about paying. The cost is really low but this an absolute must for your stay. During my visit (October 2018) the price was one euro per day. Therefore, for a week you’ll need 7 euros/8 USD. You should definitely check beforehand if you need a visa for your stay. 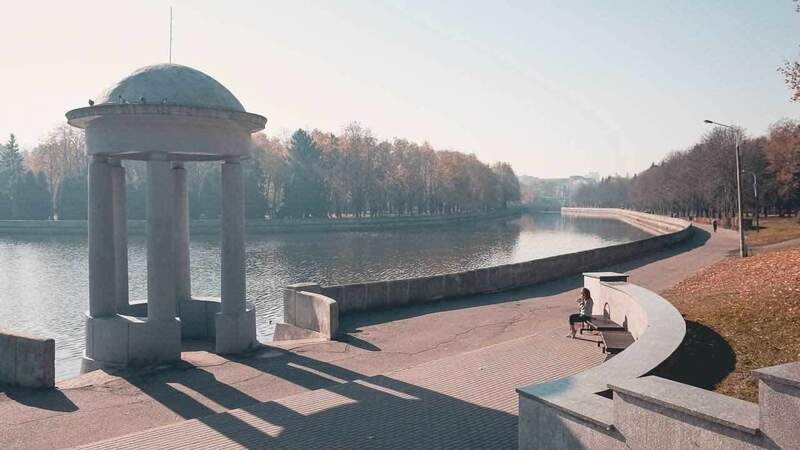 The last couple of years, the government of Belarus is opening up to tourism: they started with a 5-day visa-free regulation which is now extended to 30 days. If you come from an EU country or the USA, you won’t need a visa. For all other countries, please check the regulations here. Belarus is the last country in Europe that uses the death penalty. This has resulted in significant controversies, of course, and brought a lot of political pressure to the government. There were at least four executions in 2018; therefore this is not a forgotten constitutional law but a valid one. 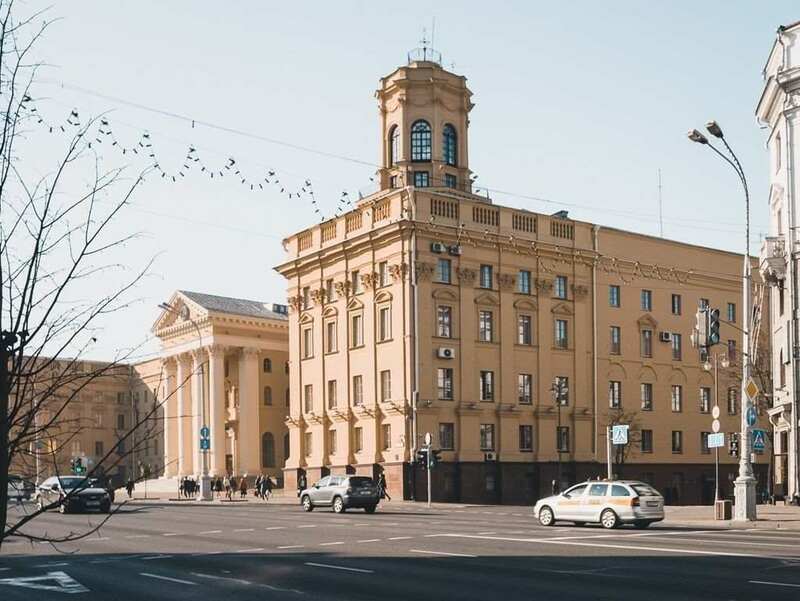 It has been part of the Belarussian constitution ever since the country gained independence from the Soviet Union. This is one of the sad but still interesting facts about Belarus; one can only hope that it will be revoked soon. 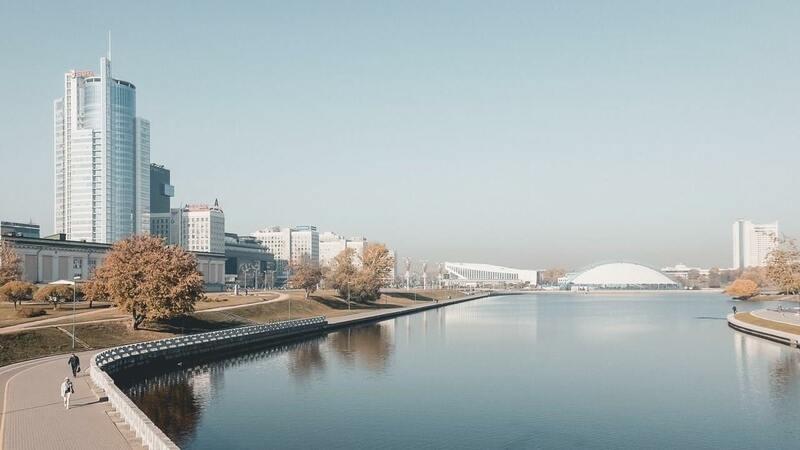 The poetic Island of Tears is located in downtown Minsk. This small island in the river Svislach is a memorial to the unsuccessful USSR campaign in Afganistan (1979-1988). That war was lost for Russia and thousands of dead soldiers were left behind. The war in Afganistan is also known as Russia’s Vietnam. For many years the war veterans didn’t receive any recognition at all. But since 1996 Minsk is paying tribute to the dead soldiers, and that’s how the lyrical Island of Tears took its name. In the entrance of the island, straight after the small bridge, there is a chapel. On the walls of the chapel, there are figures of mothers and widows sculpted. Belarus is a fascinating country, and there are definitely more than 10 interesting facts about Belarus. It’s also a country (still) untouched from mass tourism as the government has only lately opened up to travelers. I had a wonderful time in the country, and I found it unique. In Western media, Belarus gets lots of negative publicity, but a big part of it has no validity. 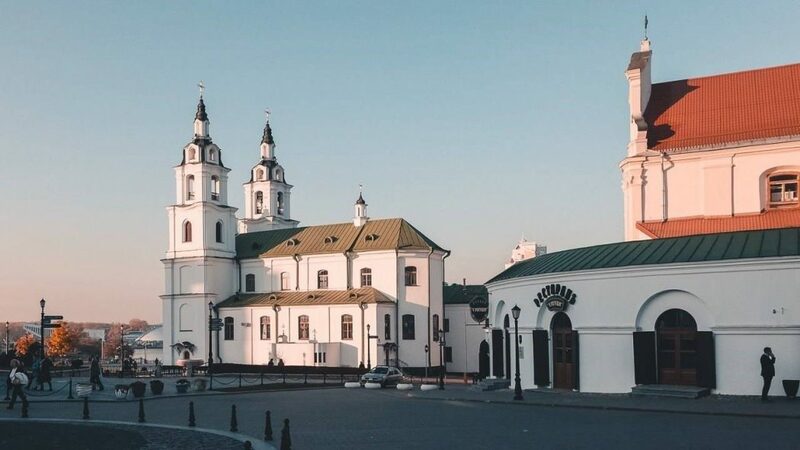 If you have a chance to visit Belarus, don’t miss it: the locals are very friendly, the food is delicious, and there is history everywhere. George Pavlopoulos is a published Greek author of three novels, a travel writer, and a photographer. He currently lives in Berlin.